A Fitbit is a handy gadget to keep track of your health. 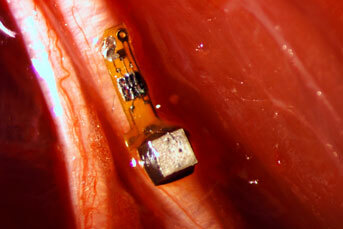 But what if you could have nanotechnology in your brain to monitor your health? This science-fiction is becoming real in a lab in California. Jose Carmena and Michel Maharbiz recently developed nanotechnology that can be implanted into your nervous system where the tiny devices can track the activity of the specific nerve they are implanted in. 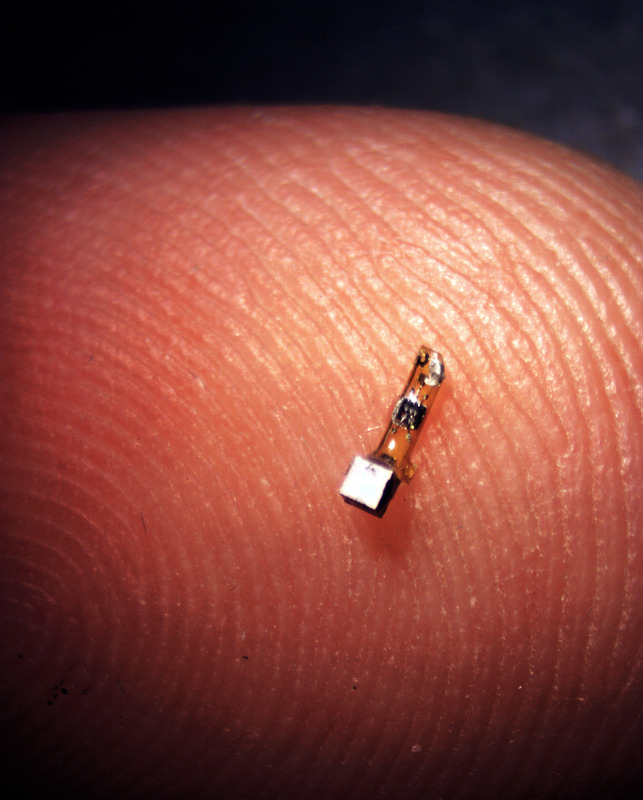 If such a nano device would be implanted in one of your leg nerves, you would be able to track when and how long you walk. This would be possible since your leg nerves fire impulses, which the nanotechnology can detect when you walk. But don’t run to your doctor to get some nano devices implanted yet, because Carmena and Maharbiz have only tested their technology on anesthetized rats, and lots of testing must be done before we can use this technology for humans. But how does this new nanotechnology, which the developers call neural dust, actually work? Carmena and Maharbiz faced a couple of challenges when designing their neural dust, which they named this way because the tiny devices are implanted in the nerves or neurons and they are almost as small as little specks of dust. Firstly, the nanotechnology is so small that there isn’t any space for a battery or to store the information the tiny Fitbit gathered. The energy problem could be solved with wireless charging. This technology can already be found in some smartphones. The information problem could be solved by simply beaming all the information straight away. But this is impossible. The neural dust is so small that the communication systems we normally use for these kinds of things are much too imprecise. The signals would simply miss the tiny devices. They wouldn’t get charged and we wouldn’t get their information. We have other ways to transmit energy and information, but those are really harmful to our bodies since they can cause cancer. That being said, the scientists couldn’t use that either. But, fortunately, they found another way to communicate with and charge the nano devices; ultrasound. Doctors also use ultrasound to look at unborn babies, so it’s super safe and it’s also precise enough for the neural dust. But how are we going to use it? Carmena and Maharbiz can see their neural dust being used for all kinds of things in the future, since they’re not only developing nano devices that can monitor our nerves, they also want to add a stimulating function to them. This can really help paraplegic people, people who have paralysed legs, for example. Earlier studies with similar devices have already shown that they can help those people control their bladder again. And similar devices have also helped people with sleep apnea. Scientists think they can also help people with diabetes and arthritis. With this new development, which has made the devices even smaller, we could also help people with diseases that require even more precise treatment. An example would be some bowel diseases. But, this will have to wait until all the testing is done, and the neural dust is safe for humans and not just for blacked out rats.